Last month I shared why my background in Library and Information Science matches so well with the mission and work of KPK: Kpop Kollective. One of the roles I play is information provider (billed “Research and Information Clearinghouse” on that fine chart from last month’s blog). More and more frequently, visitors to our site are government employees, graduate students, and university faculty members from all over the world who have a strong academic interest in Hallyu. Since July 2011, I have been collecting and organizing citations of conference presentations, scholarly articles, book chapters and books covering all aspects of Hallyu, including popular music, television, fans, and more. In an upcoming series of posts, I’ll be sharing with you unannotated citations of items that I’ve discovered as I’ve mined information. Venn diagrams of BOOLEAN Operator results. Created by Kaetrena Davis Kendrick, M.S.L.S. for KPK: Kpop Kollective. As a bit of background, the information I’ll be sharing is discoverable several different ways. I use a variety of tools to locate items, including but not limited to: Internet search engines, proprietary databases, public and global online library catalogs, institutional repositories, open access journals, and digital libraries. I also use a myriad of searching methods, including BOOLEAN operators, truncation, phrase searching, and more. Often, I also gather information the old-fashioned way: via word-of-mouth or I ask colleagues in my professional network to send me items they think are applicable. Even though my posts will provide citations, your level of access to the items I share will be dependent on a number of issues, including what your local libraries own, your levels and speed of Internet access, filters, and other factors. Be sure to talk with your local public or university librarian to determine what you can get (HINT: the Interlibrary Loan service is a platter of gold topped with awesome sauce and diamond cherries). The Information Timeline. Source: North Dakota State University Libraries: http://library.ndsu.edu/online-tutorial/information-timeline/ (click to enlarge). One more thing: KPK is the only group I know of that is doing work focusing on Kpop fans (you can find out some of our results here). Additionally, the popularity of Kpop outside of Asia is still relatively new. Therefore, while television footage, newspaper articles, and popular magazine coverage is abundant, there are not many scholarly articles on these topics yet. But the future is promising — there has been a slow growth of recent coverage at national and specialized conferences (i.e., posters and papers). If you have published peer-reviewed work or presented juried posters on either of these topics, please contact me so I may add your citation to our working bibliography (also, consider becoming a KPK Fellow). Otherwise, if you are interested in studying any aspects of Kpop fandom and/or the growth and impact of Kpop in the West (or outside of Asia), you are a pioneer. FIGHTING! Explore the academic potential of Korean popular studies! 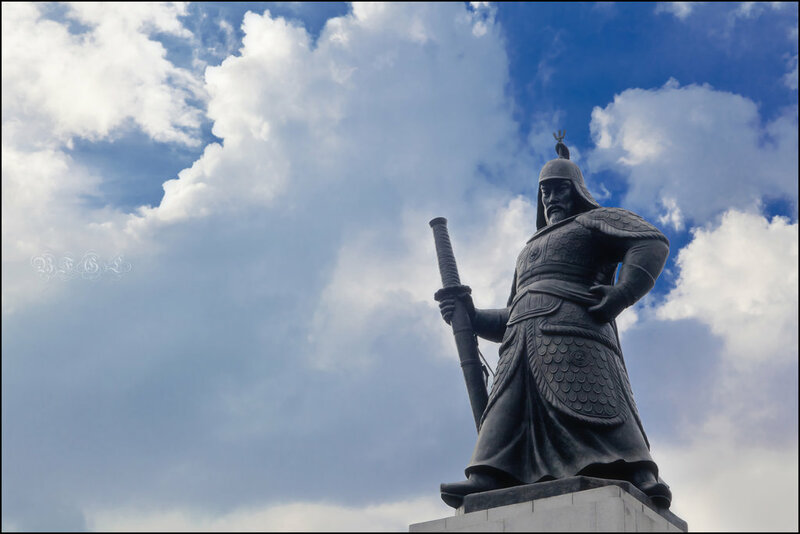 Admiral Yi Sung Shin’s statue at Gwanghwamun Plaza in Seoul, South Korea. Photo credit: BFGL, http://bfgl.deviantart.com/art/Yi-Sun-sin-174297335. Please be on the lookout for future “For Your Reading Pleasure” posts. It is my hope that you’ll find the series useful. If you have questions or if you are looking for something specific (and scholarly) about Korean popular culture, don’t hesitate to send KPK an e-mail, or leave your academic Hallyu query in the comments below. From locating an article to giving you a focused framework or better keywords to try, let’s work together to get you closer to fulfilling your information need. To learn more about how information cycles work, watch this fascinating video which was produced by Penn State Libraries. Different from Idol Groups, How Will ‘Psy Style’ Change the Hallyu Paradigm?